Here is a front track bar drop bracket. 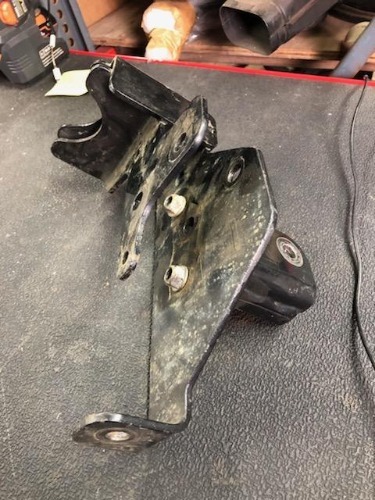 The track bar bracket helps restore proper geometry of certain suspension components on a lifted Jeep. This will fit 07-18 JK and JKU models with 3" or taller suspension lift. This may fit other models or years, please check your application. Used parts are expected to have some wear, surface rust, scratches, etc. Be sure to click on 'more images' to check out the pictures!